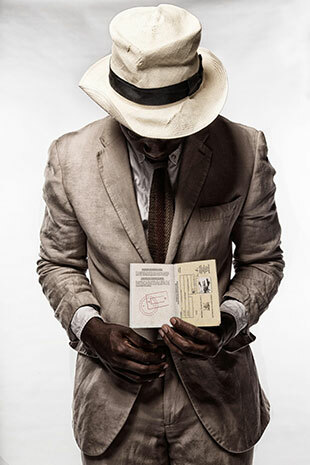 Genesis Future Directors Award winner Matthew Xia returns to the Young Vic with his sold-out production of Sizwe Banzi is Dead in The Maria in February 2014. Athol Fugard’s momentous Tony-nominated play exposes the struggle for freedom and identity in apartheid-era South Africa, unravelling the brutal absurdities of everyday life under oppression. Matthew Xia is the first Genesis Future Directors Award winner to transfer a production supported by the Genesis Foundation from The Clare into The Maria. Sizwe Banzi is Dead sold out its run in The Clare weeks before opening in autumn this year. It now returns to the larger space where Sibusiso Mamba and Tonderai Munyevu will reprise their roles of Sizwe Banzi and Styles/Buntu respectively. The production will feature design by Linbury Prize winner Hyemi Shin. 2013 marks the 40th anniversary of the UK premiere of Sizwe Banzi is Dead, created by Athol Fugard, John Kani and Winston Ntshona. It received its UK premiere in 1973 at the Royal Court, directed by Fugard and starring Kani and Ntshona (the year after its world premiere in Cape Town in 1972) where it was performed in repertory with The Island. As well as receiving critical acclaim both in the West End and on Broadway, Sizwe Banzi is Dead and The Island were quickly recognised as cornerstones of the global anti-apartheid movement.